michelle and i met several years ago through the power of instagram. at the time, she was pregnant with their second daughter and sharing lots of homesteading/ nesting ideas they were working on to prepare for their new addition. instantly, i knew we would be wonderful friends. michelle is an EXCEPTIONAL cook. 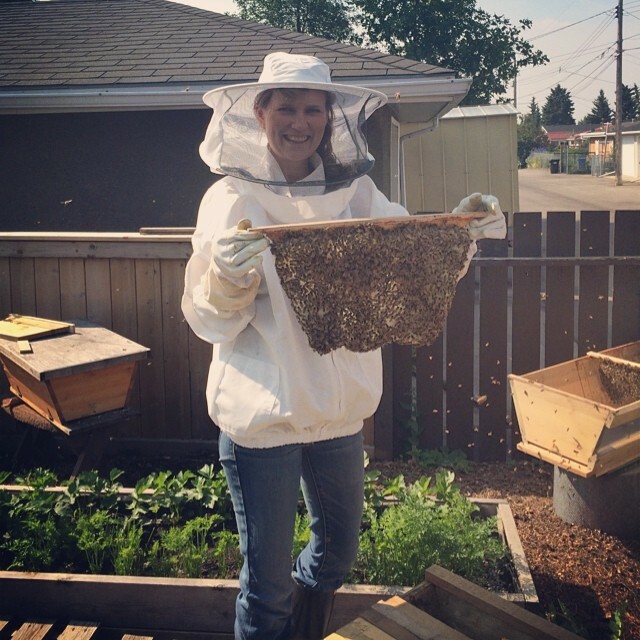 making everything from scratch (raising bees for honey, rendering her own lard, making butter...) and only using whole, organic ingredients (they have an incredible urban garden, and seriously, you have never seen pies like the pies michelle makes). she is a daily inspiration and also one of the kindest women i am lucky enough to call a friend. 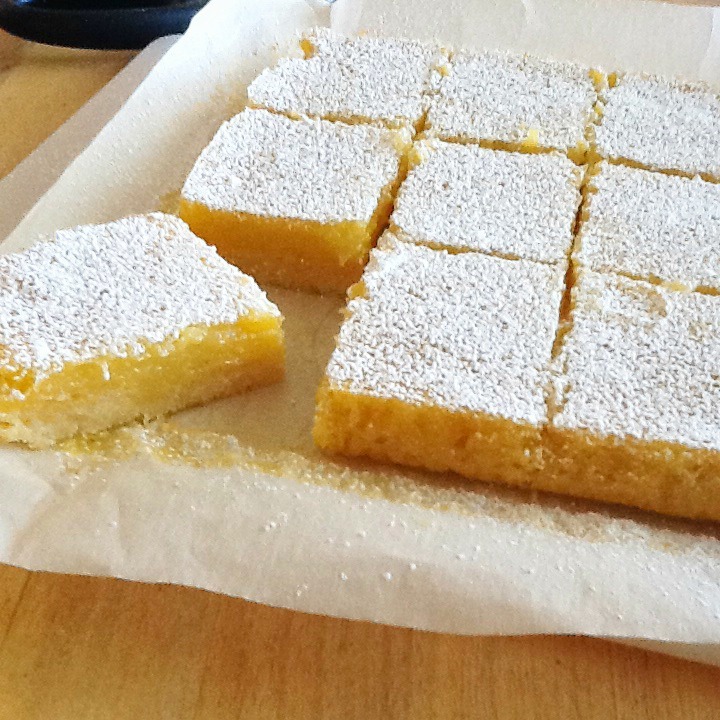 today, i get to share her incredible lemon square recipe. there is very little in life that i love more than lemon squares, and this recipe offers the perfect compliment to the chocolate and butter filled desserts that traditionally make their way into our stomachs during the holidays. mix flour, icing/confectioners' sugar into a medium bowl. add cold chopped butter and mix with your fingers until crumbly. press mixture into prepared pan in an even layer. bake for 15 minutes and set aside. beat eggs with a whisk until super frothy. slowly add cane sugar until just combined. mix flour and salt together in a tiny bowl and sift or whisk into lemon mixture. let cool for an hour or more before cutting, dust the top with confectioners sugar if desired. remove by pulling the edges of the parchment paper and place onto a cutting board. cut into desired size- makes 12 rectangular bars or 16 smaller squares.